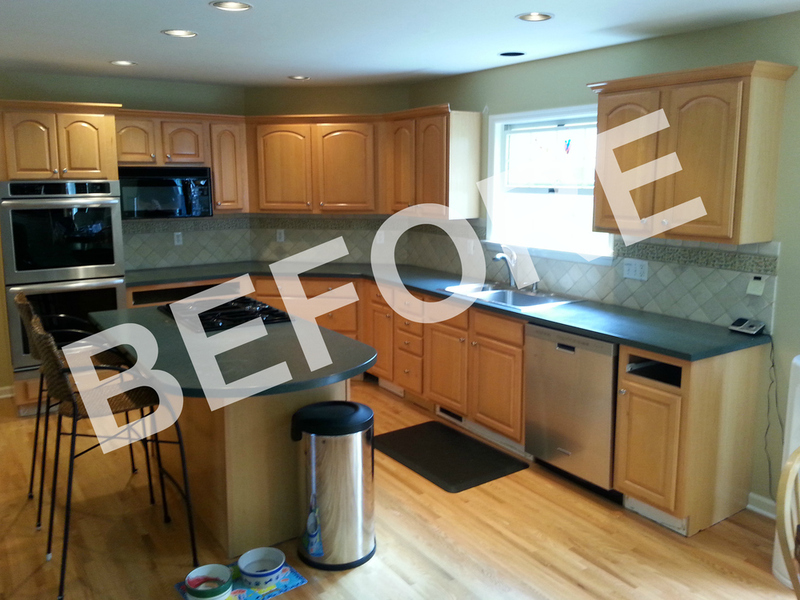 Our client in Cross River NY started with light-maple, builder's cabinets and desired a more embellished, traditional styled kitchen. 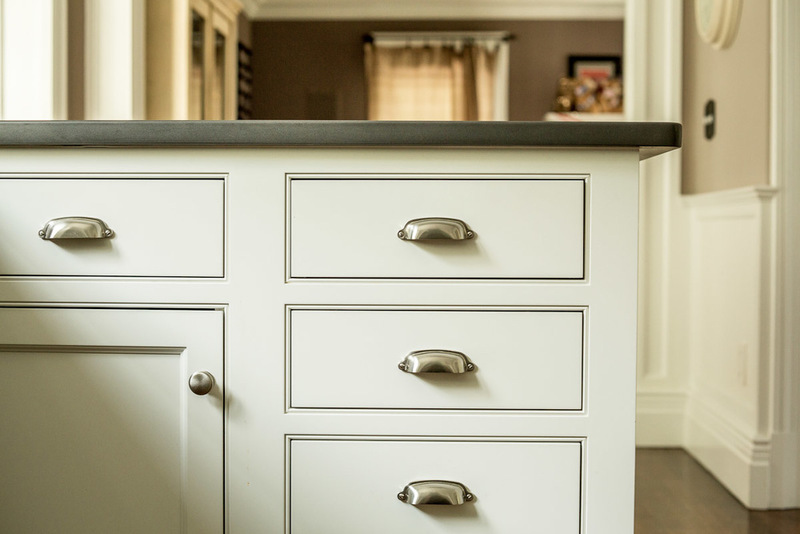 Combining a slightly embellished cabinet door style with a crisp white finish, the results feel clean and neat with eye-catching details. For additional storage and a designer look, we closed off the existing open soffit and extended our cabinetry to the ceiling. 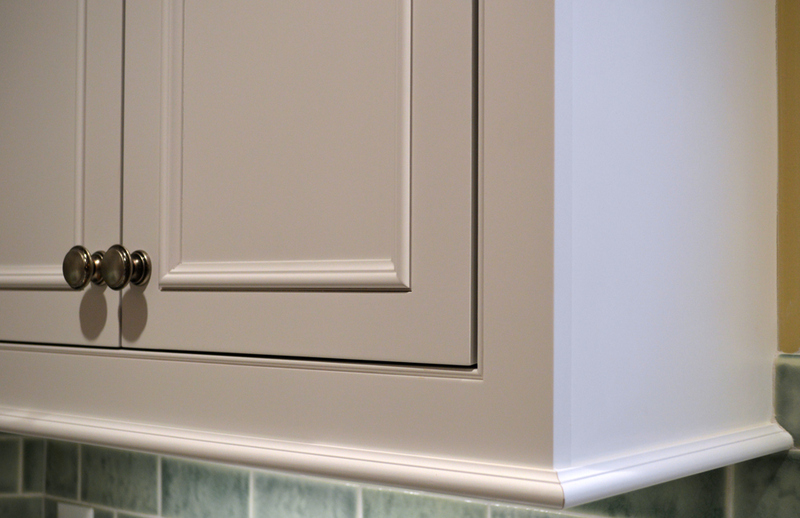 We re-styled the island with fluted corner columns and installed large crown moulding around the room. We moved the cooktop location from the island to the corner and built a new solid wood hood to complete the look and flow.